Choral Evensong for Saint Leonard’s Day 2016 was a Musical Treat! 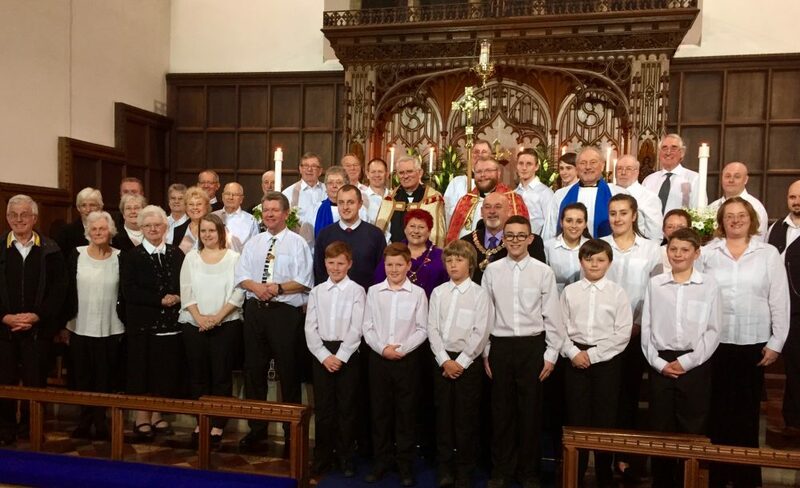 The Roseberry Church Singers with the Rector of Loftus, The Reverend Philip Bishop, The Mayor and Mayoress of Redcar & Cleveland and Mayor of Loftus-in-Cleveland. 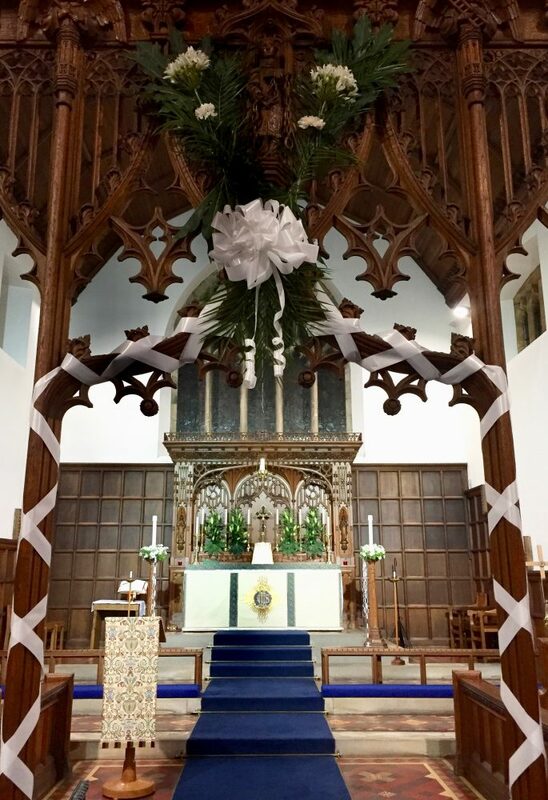 A congregation of over one hundred people from Teesside and North Yorkshire joined the Mayor and Mayoress of Redcar and Cleveland, the Mayor of Loftus and a choir of over forty singers for Choral Evensong at Saint Leonard’s Parish Church Loftus on Saint Leonard’s Day – Sunday 6th November 2016. The Roseberry Church Music Singers sang musical settings of Evensong by Stanford, Smith and Bruckner. A sermon, reflecting on the life and times of Saint Leonard, was delivered by the Rector of Loftus-in-Cleveand, Father Adam Gaunt, who challenged the congregation to follow the example of Saint Leonard by putting God and Jesus first in their lives. 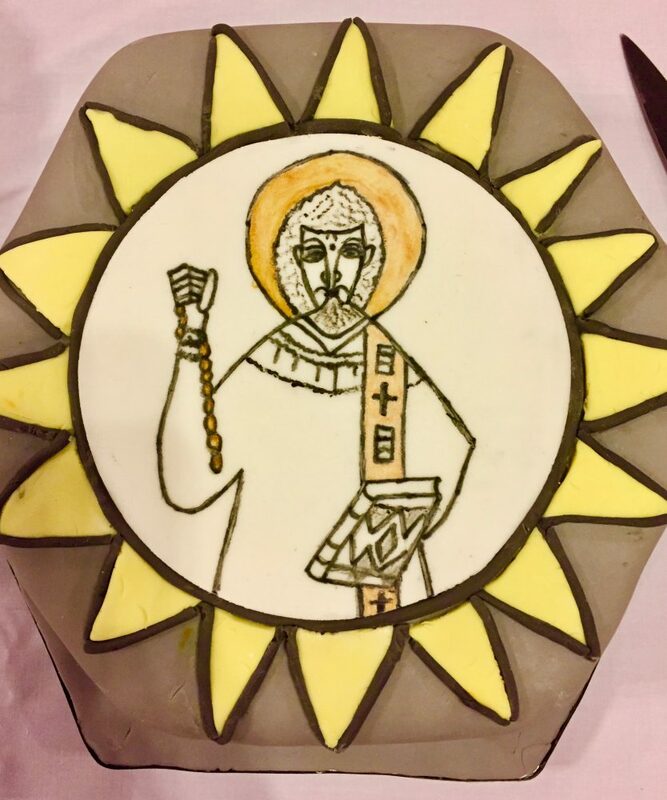 The Saint Leonard’s Day Cake with an image of Saint Leonard! Following the service a traditional Sunday Tea was served in Loftus Town Hall and two celebration cakes were cut, one to celebrate the Baptism of Archie Robinson at an earlier service and, a Saint Leonard’s Day Cake which, was cut jointly by the Rector of Loftus-in-Cleveland and the Mayor of the Borough of Redcar and Cleveland, Cllr Barry Hunt.